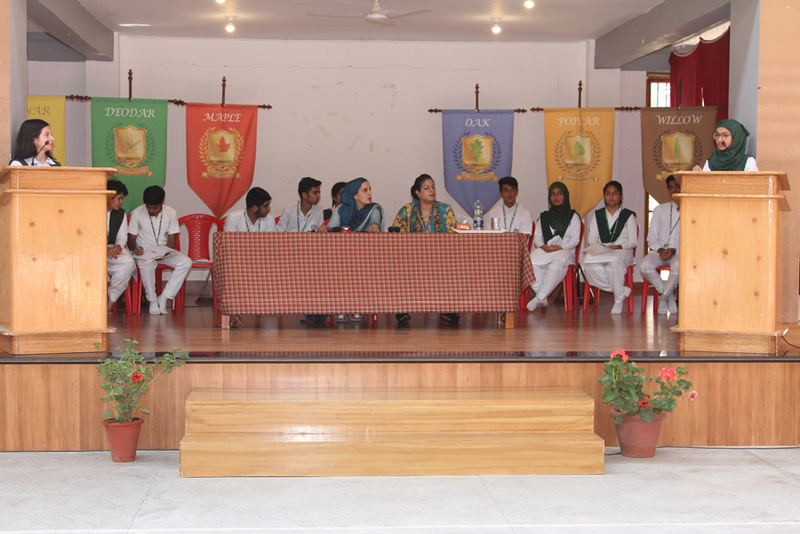 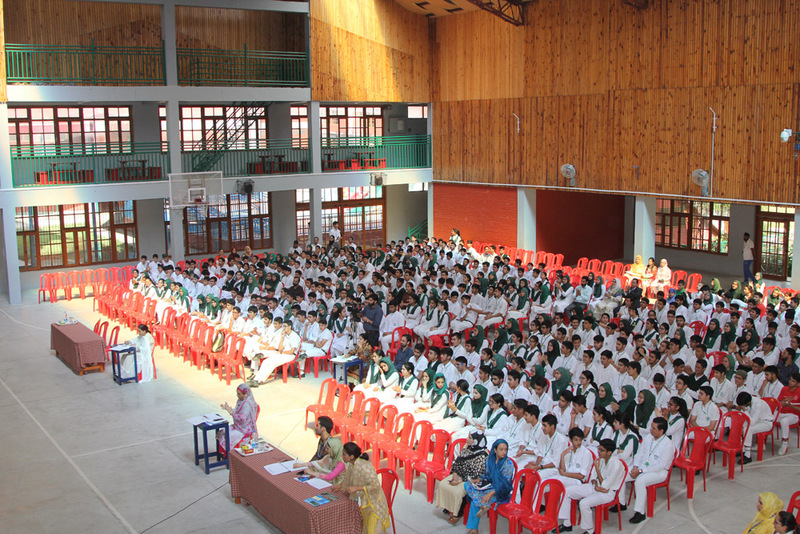 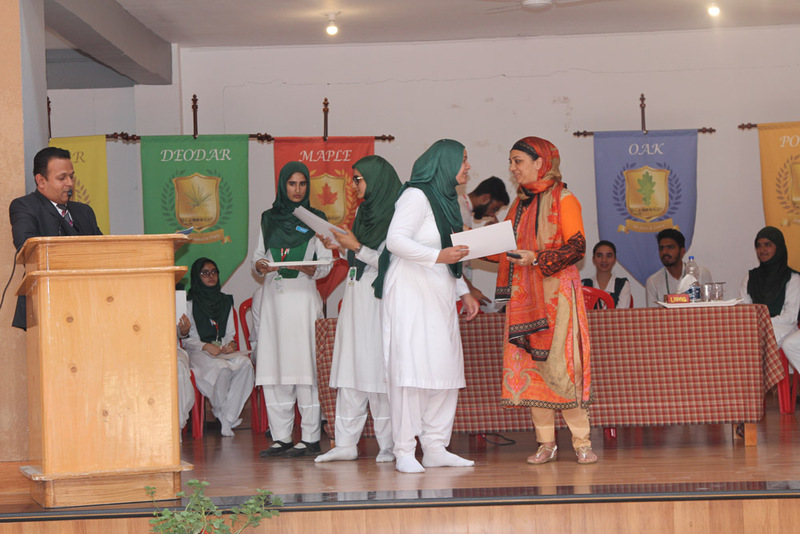 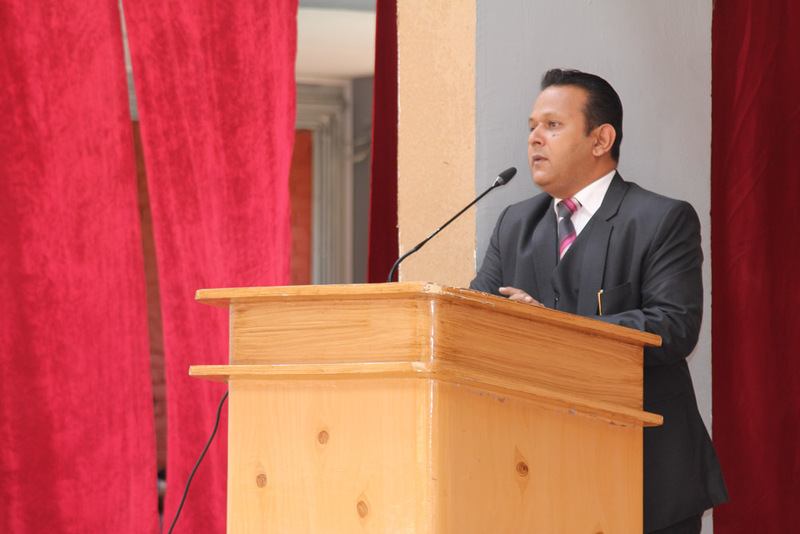 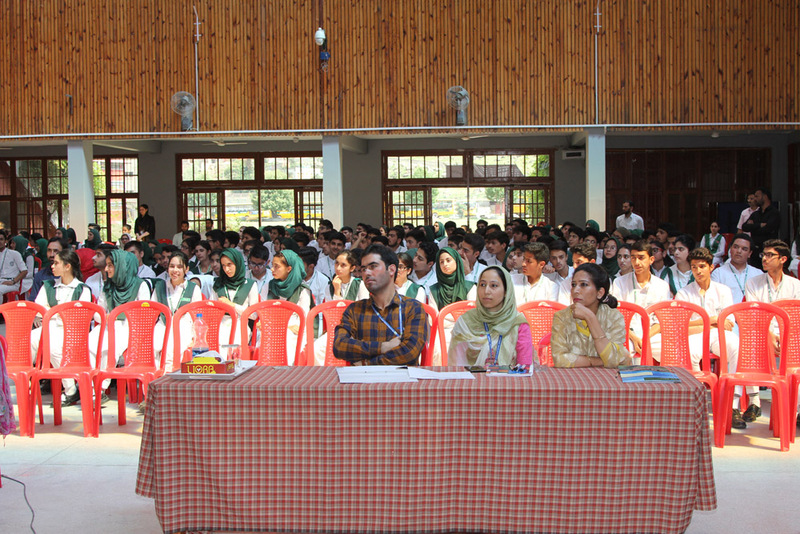 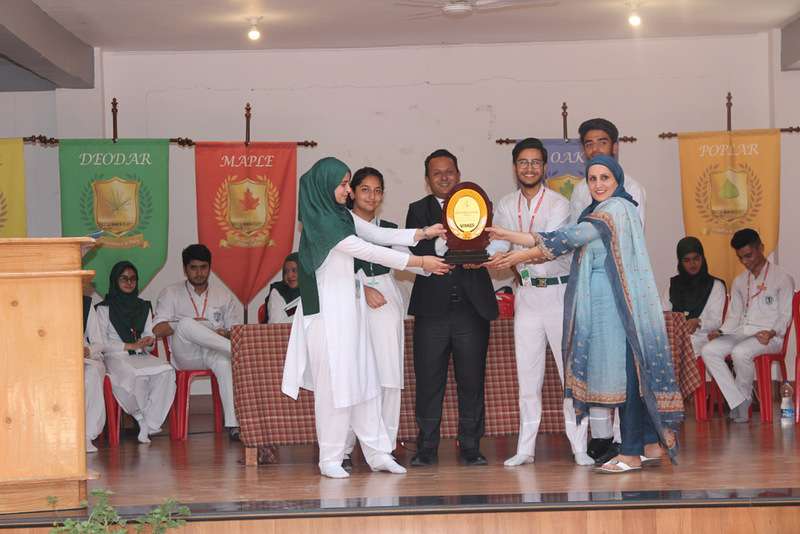 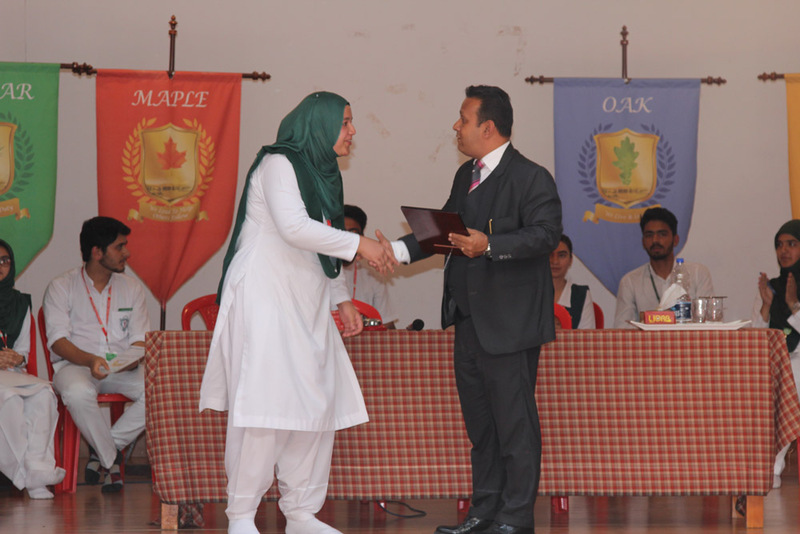 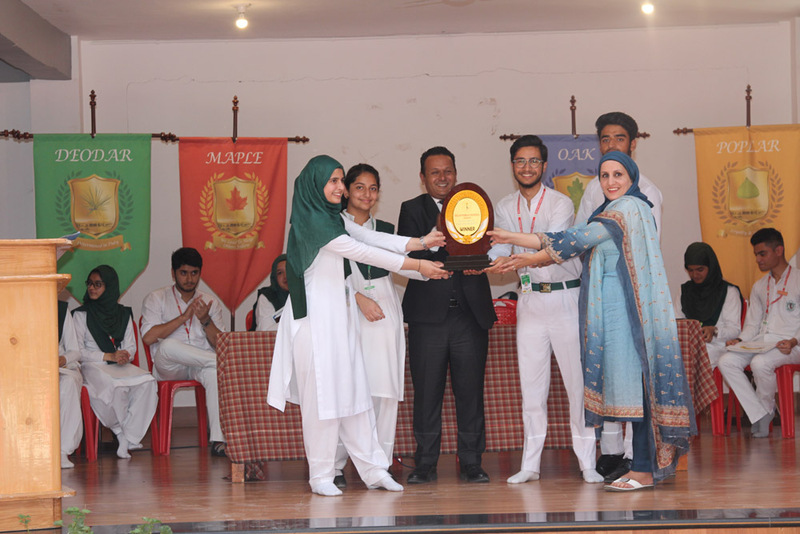 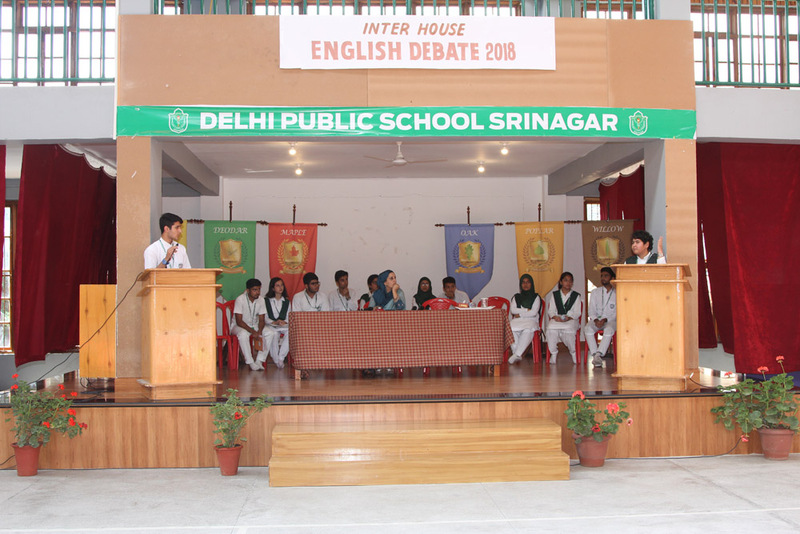 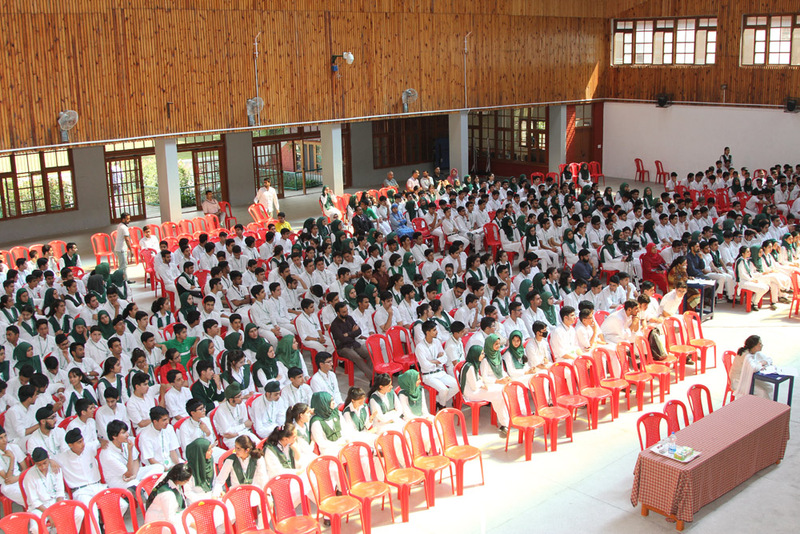 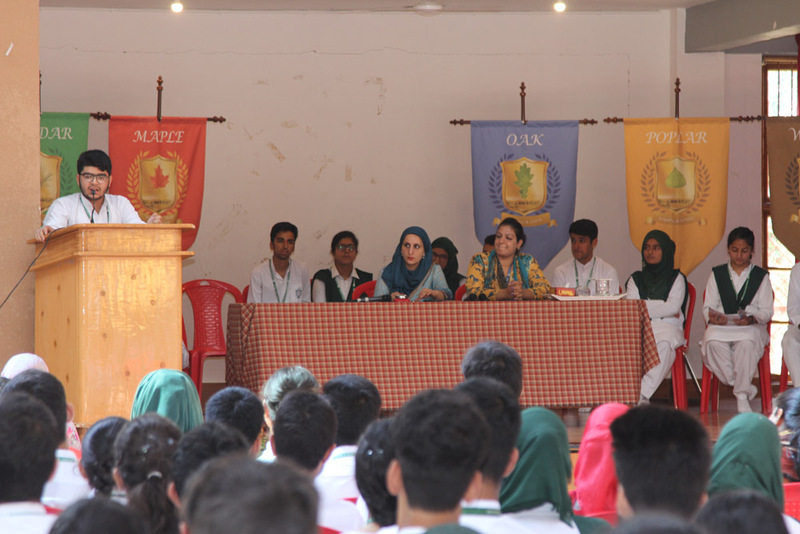 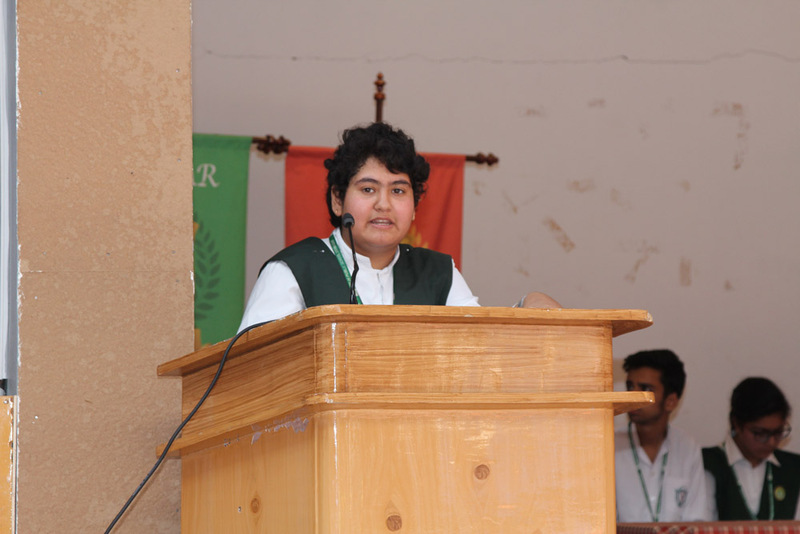 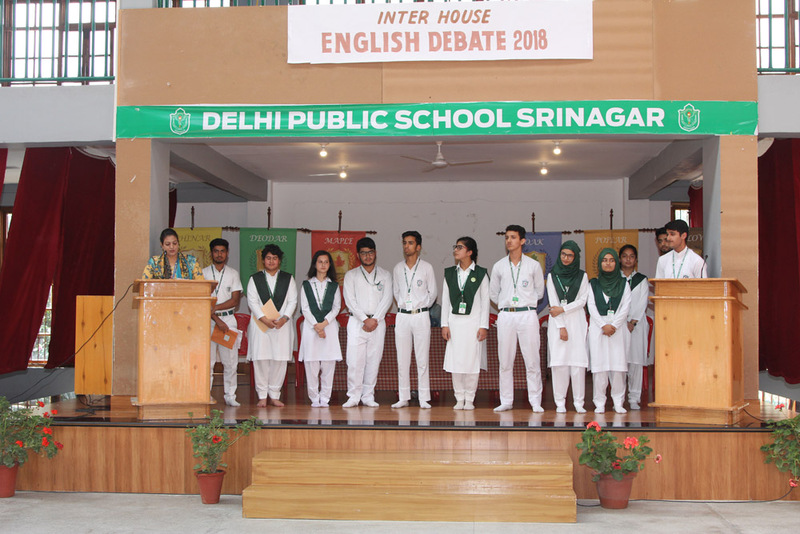 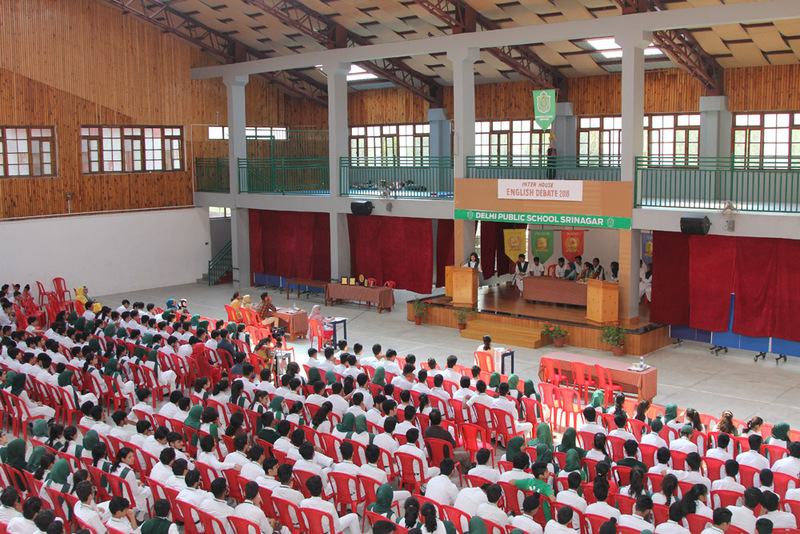 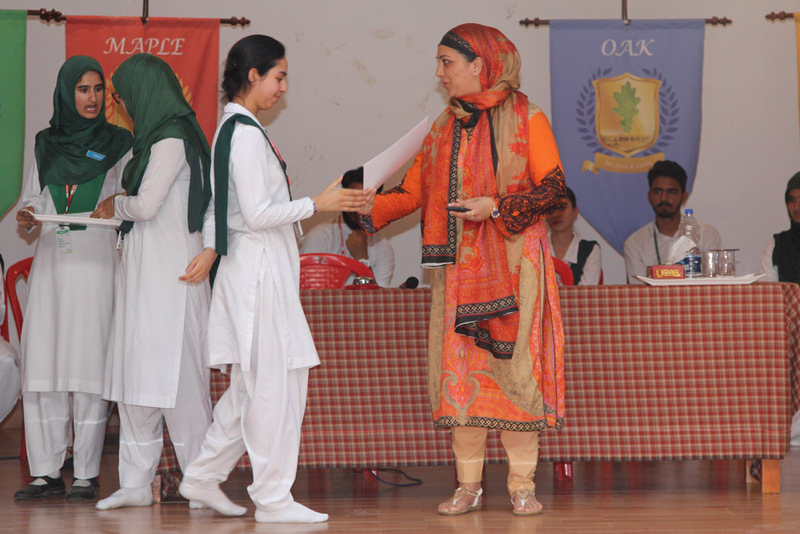 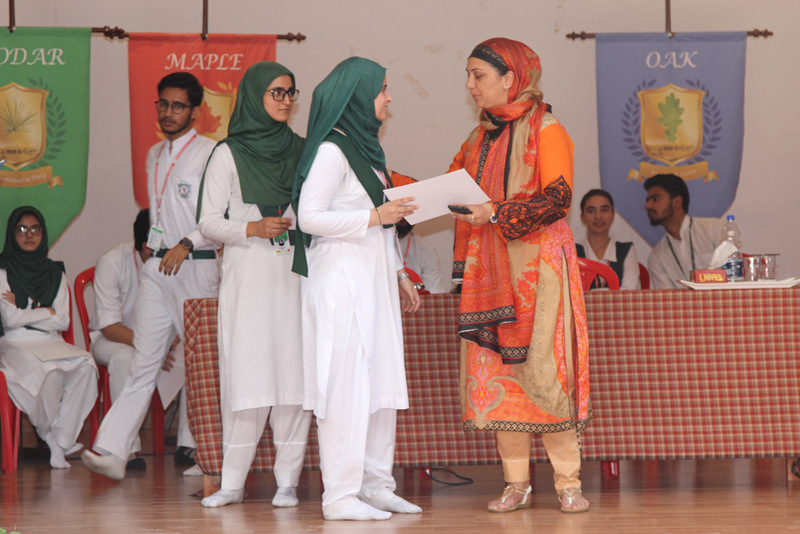 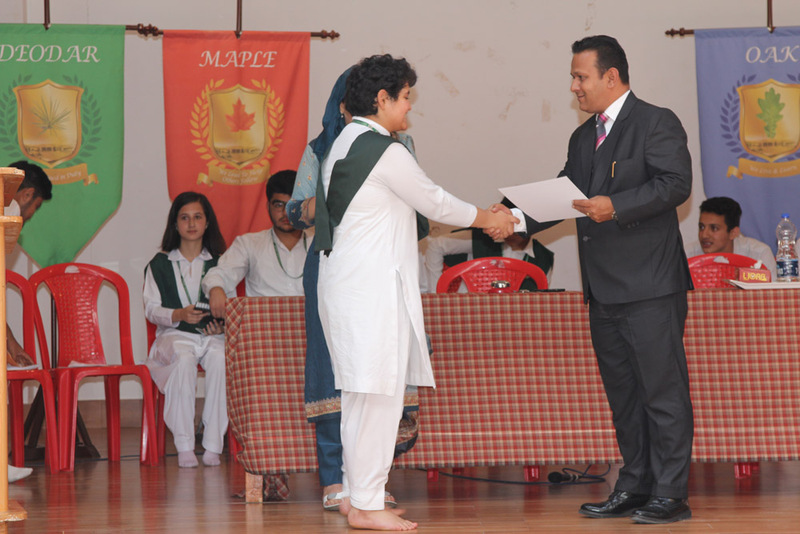 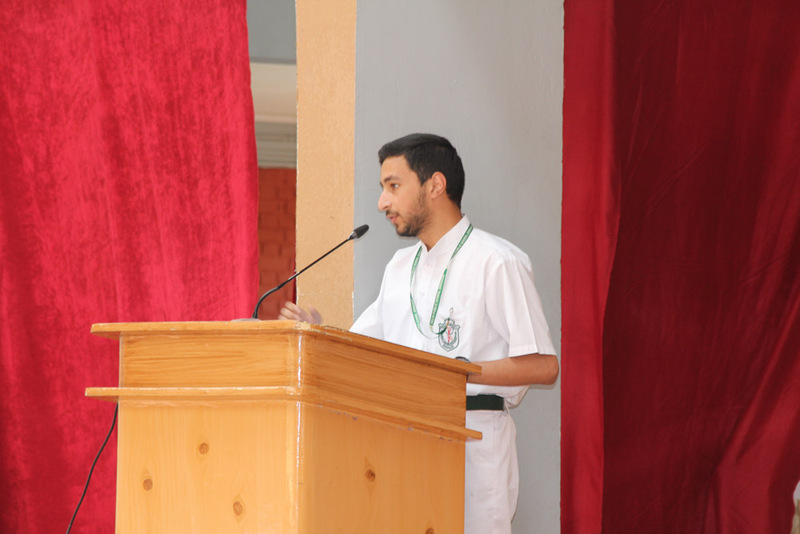 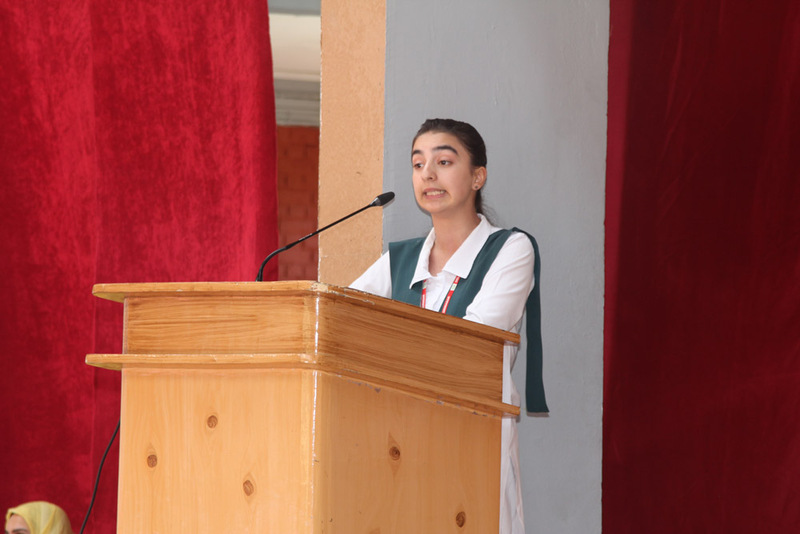 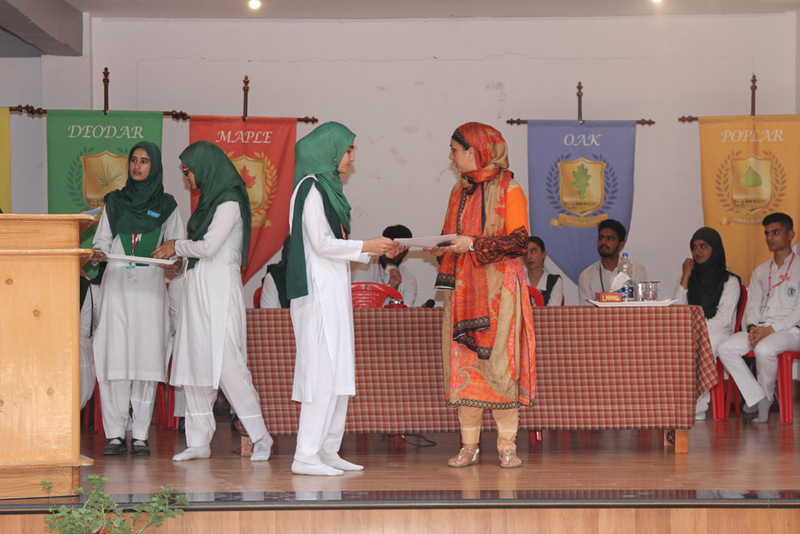 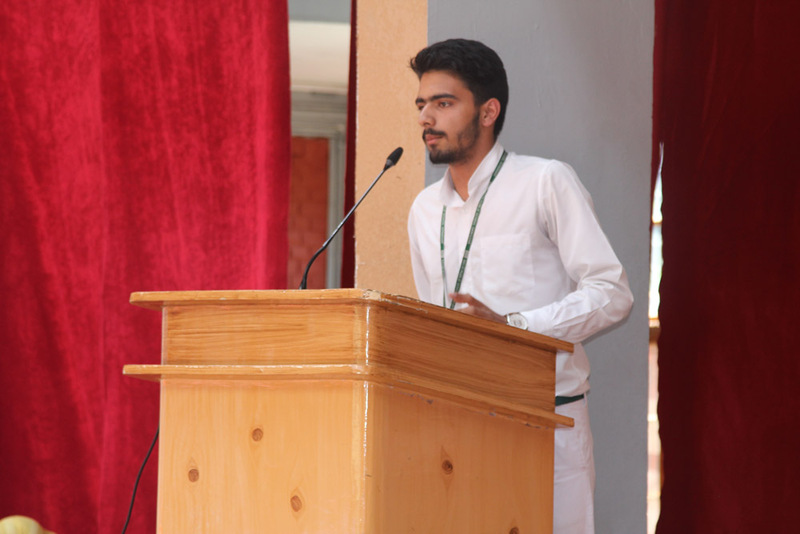 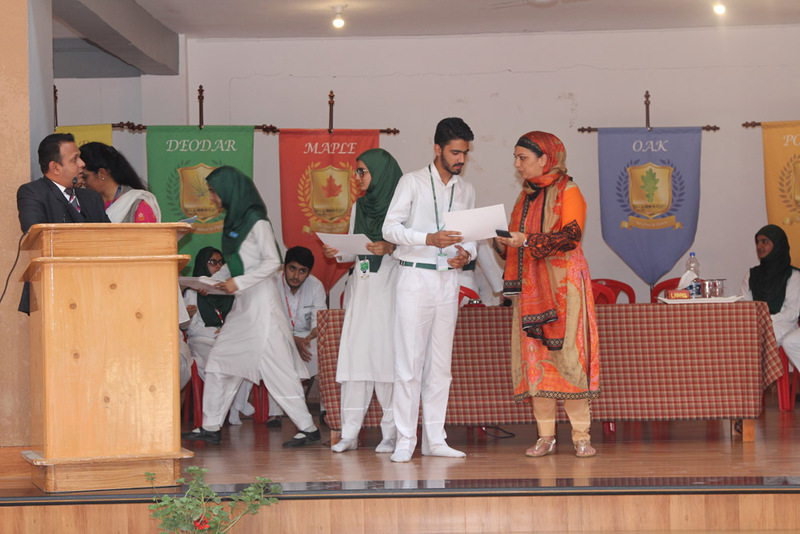 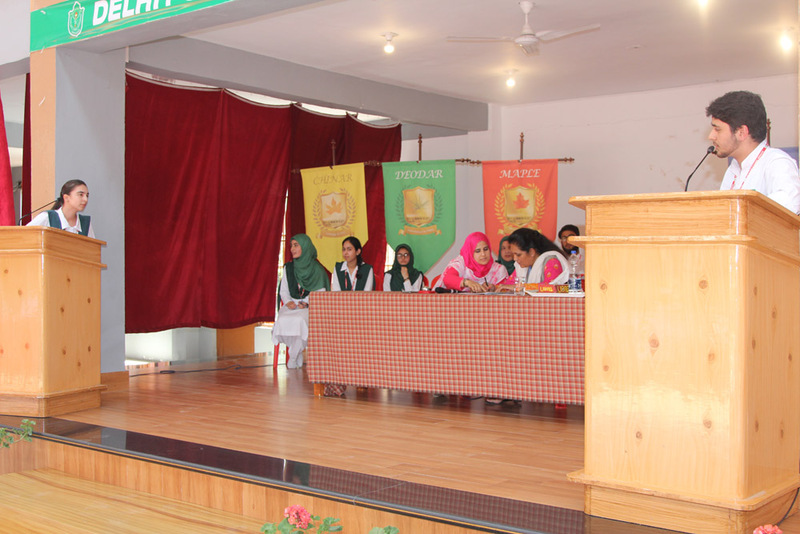 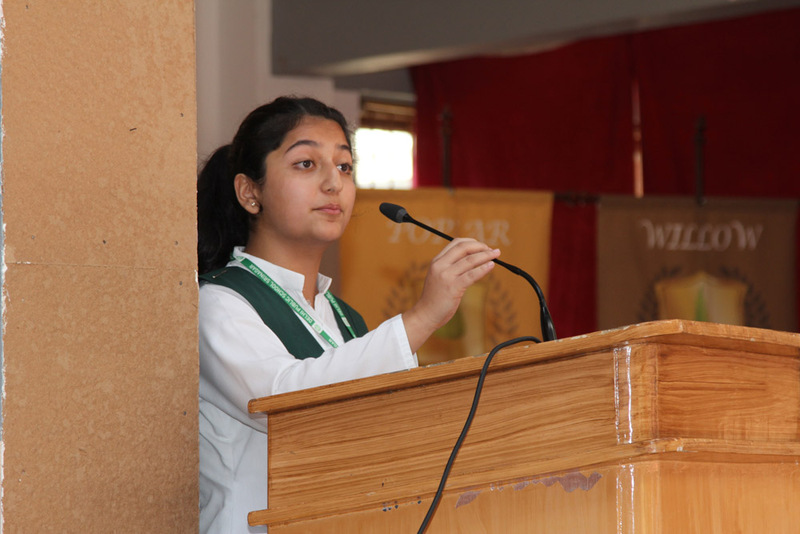 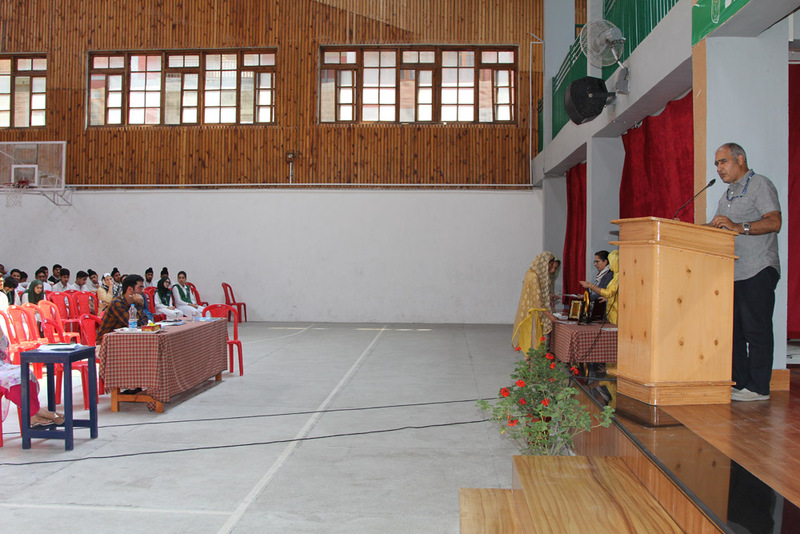 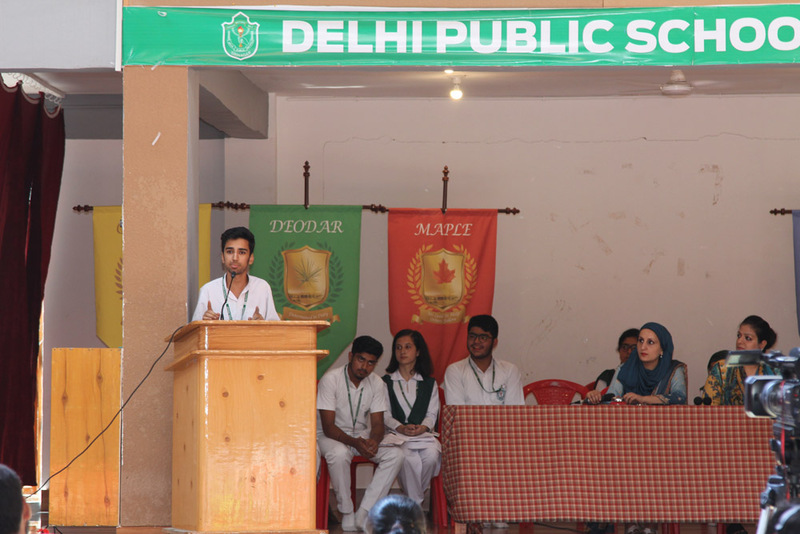 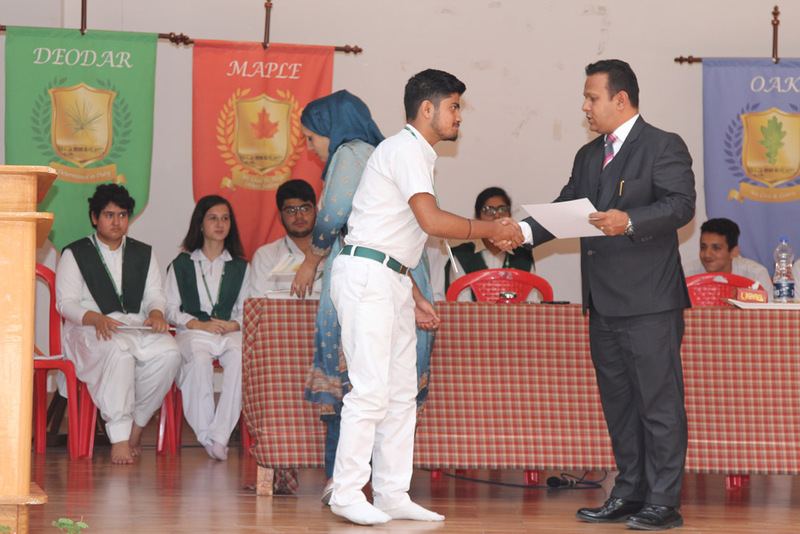 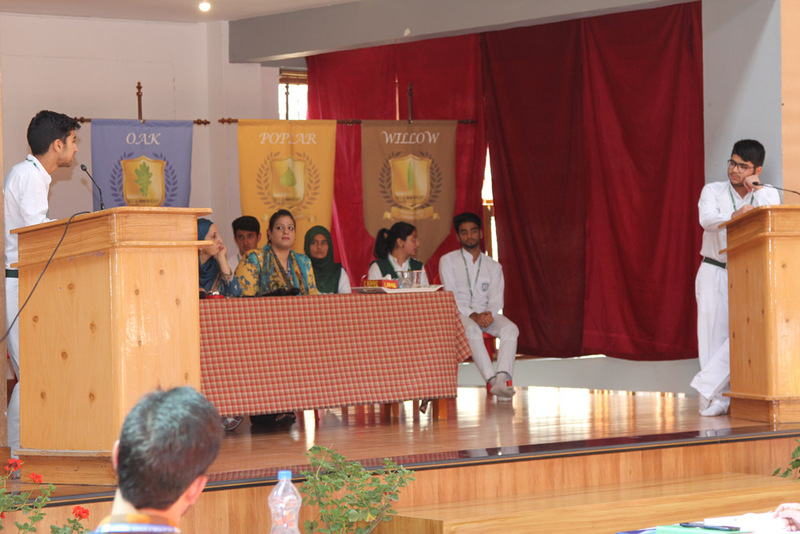 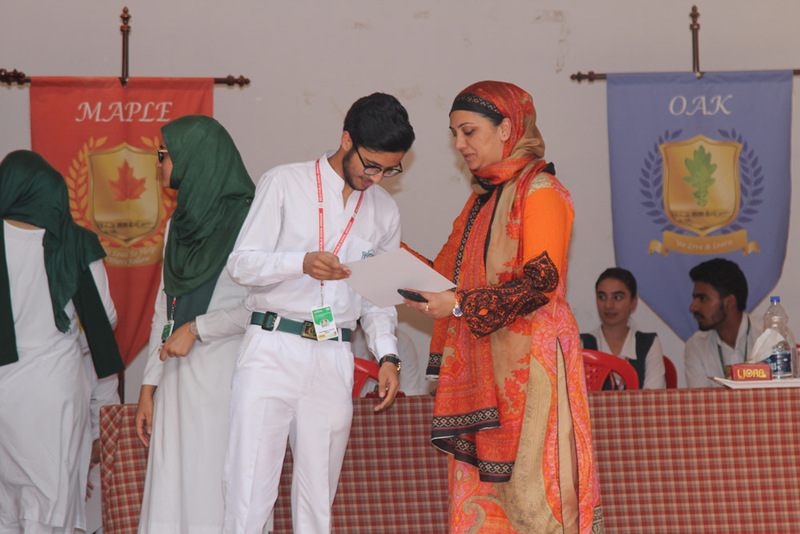 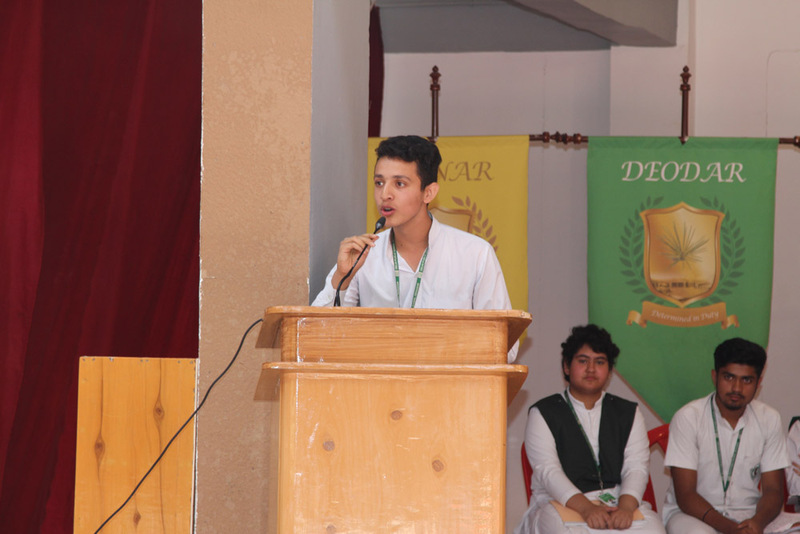 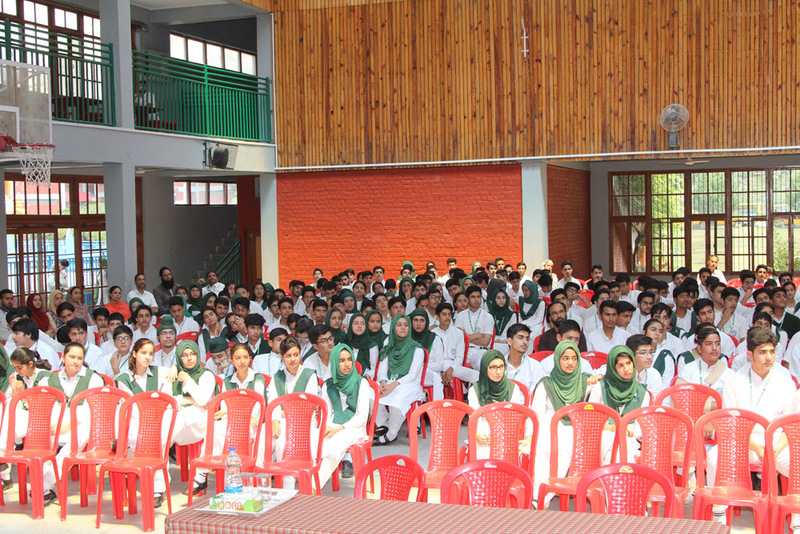 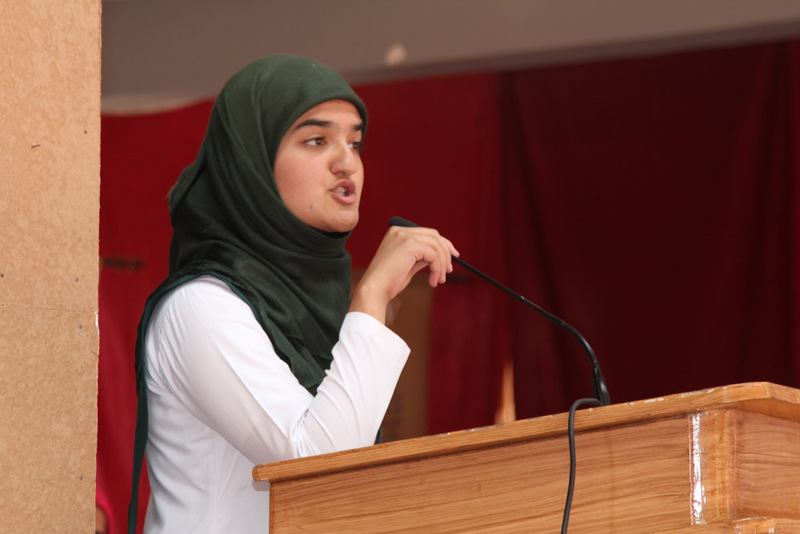 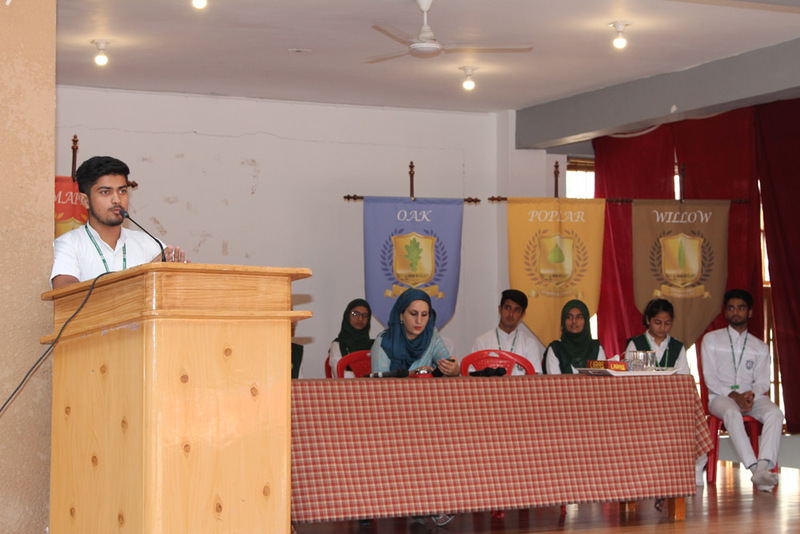 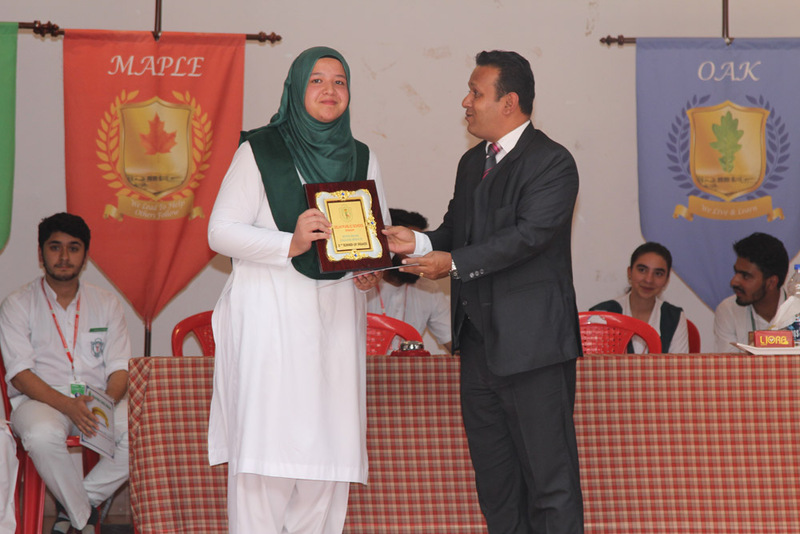 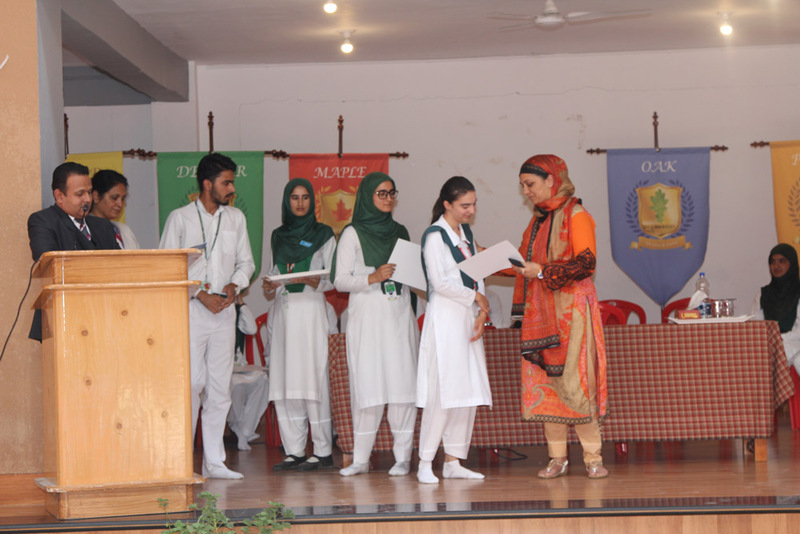 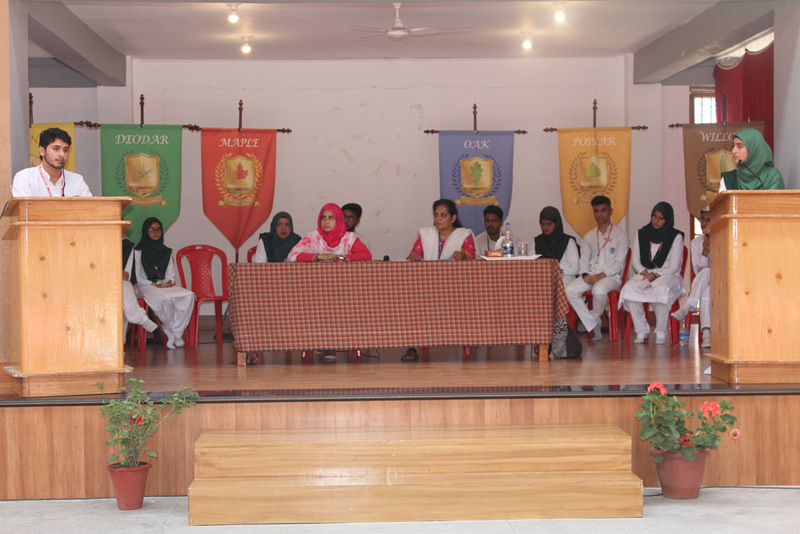 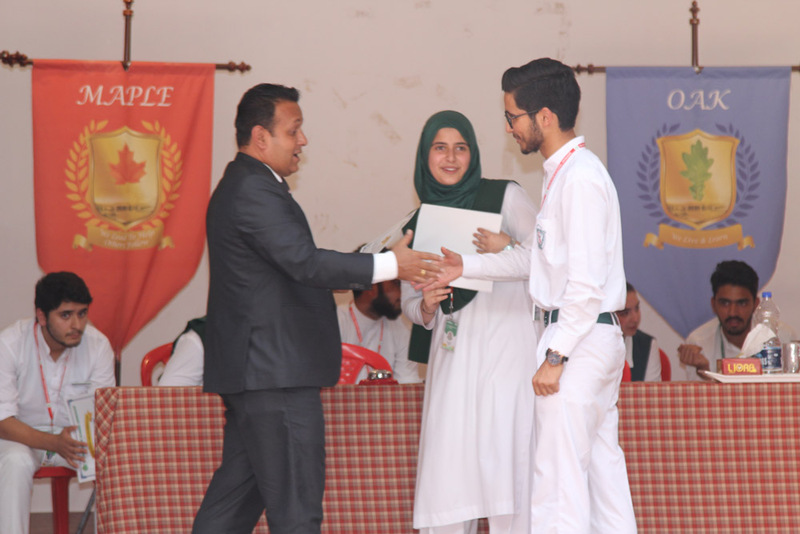 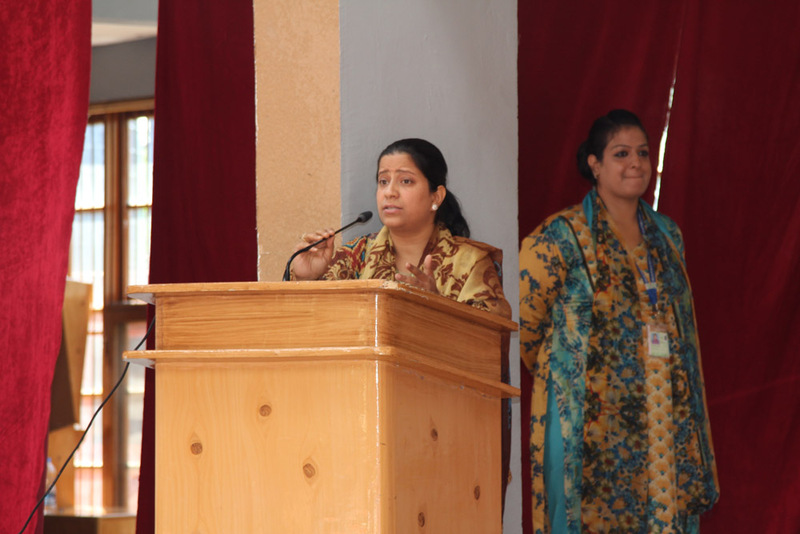 An inter-house debate competition was held for the students of Class IX- X (Under 16 Division) and Class XI -XII (under 19 Division) at Delhi Public School, Srinagar on August 9, 2018. 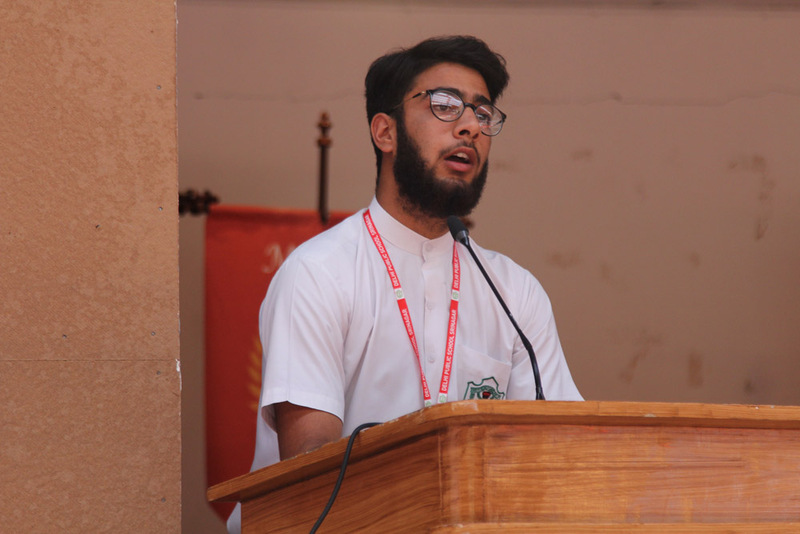 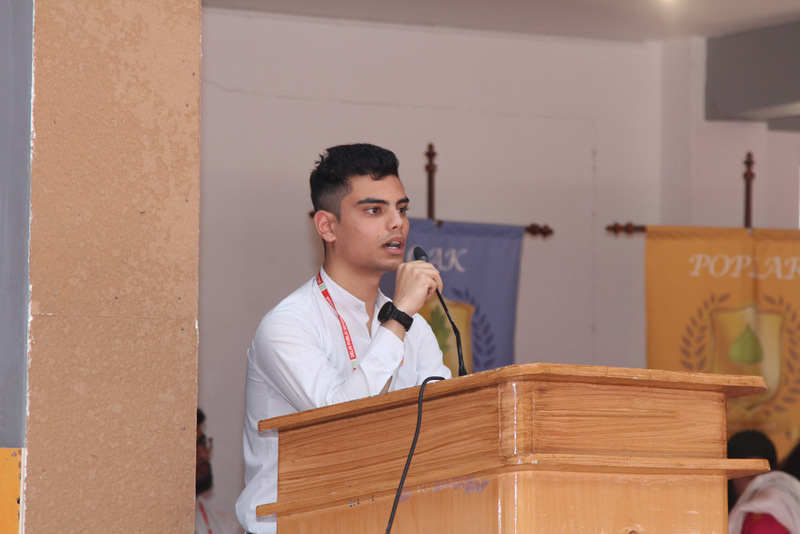 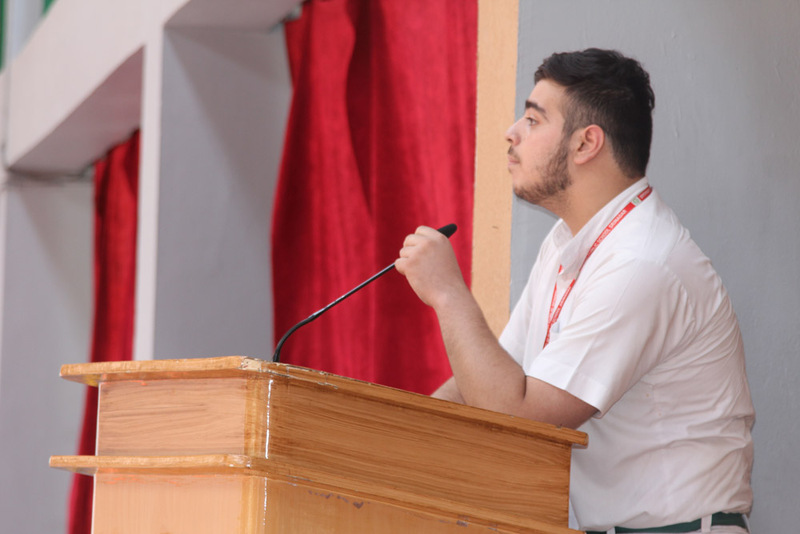 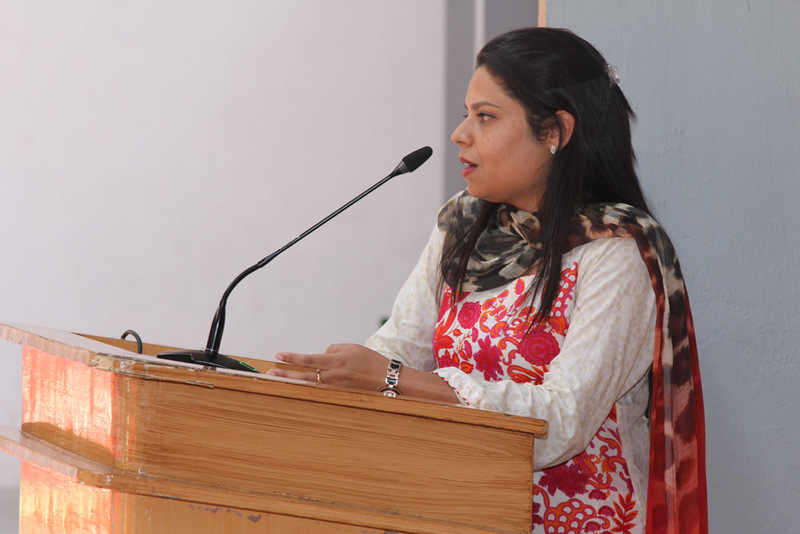 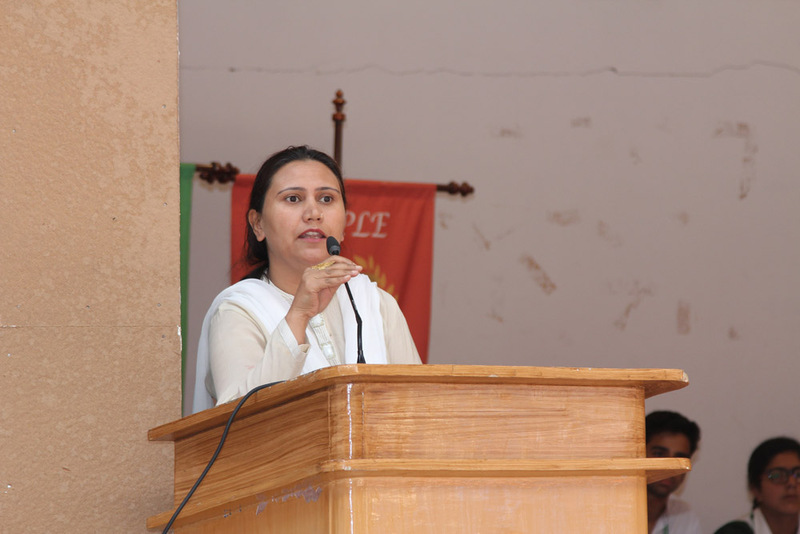 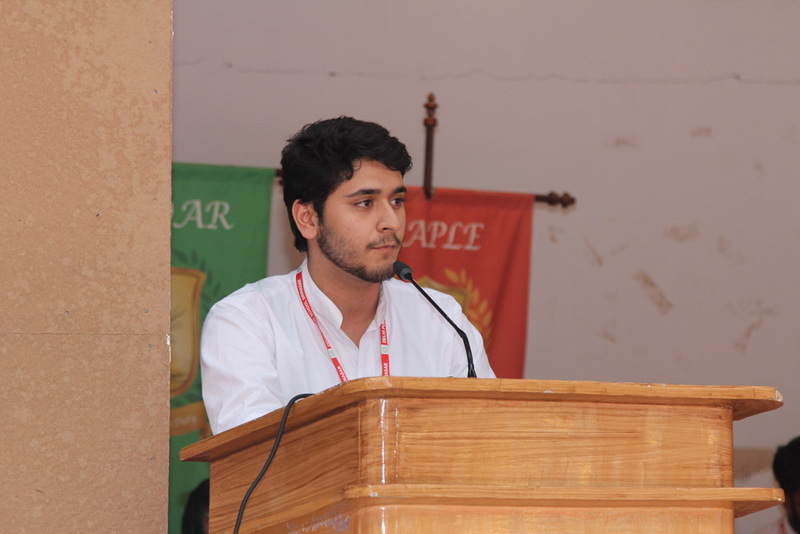 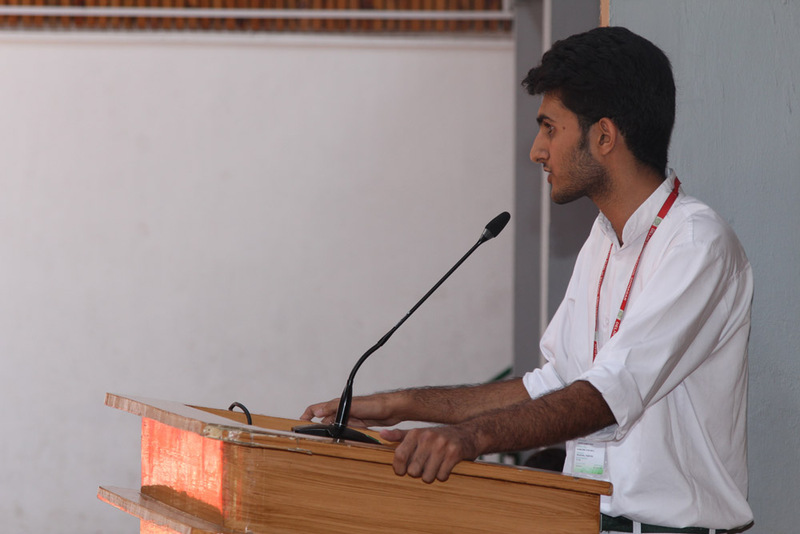 The topic for Class IX –X was “Do violent Games trigger violent behaviour in Children” The topic for Class XI-XII was “Is India still a Democracy-Do we have the freedom to speak what we think?”. 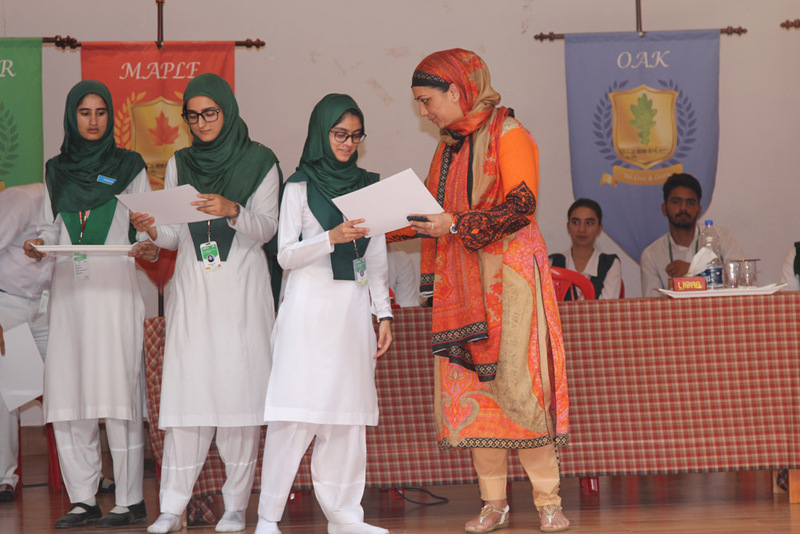 The judges for the event were Ms.Arusa, Ms.Bilques, Ms.Monisa , Ms.Radifa Khan, Ms.Munaza and Ms.Hina Qadri. 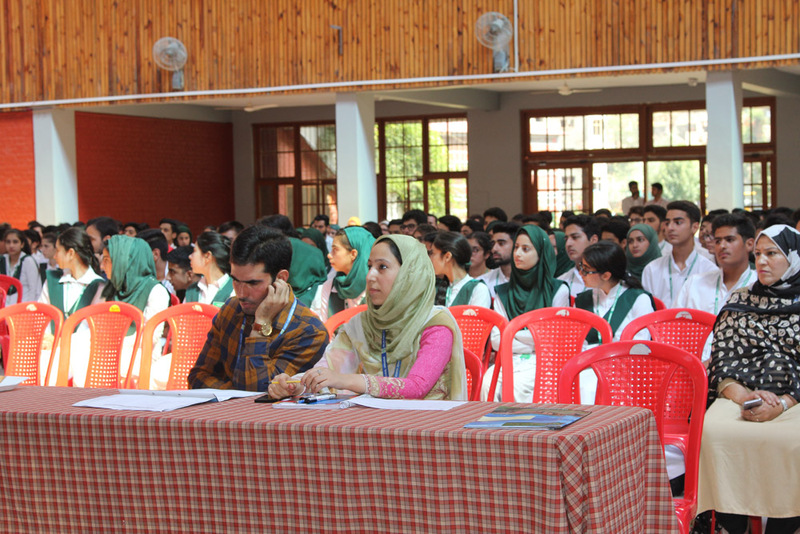 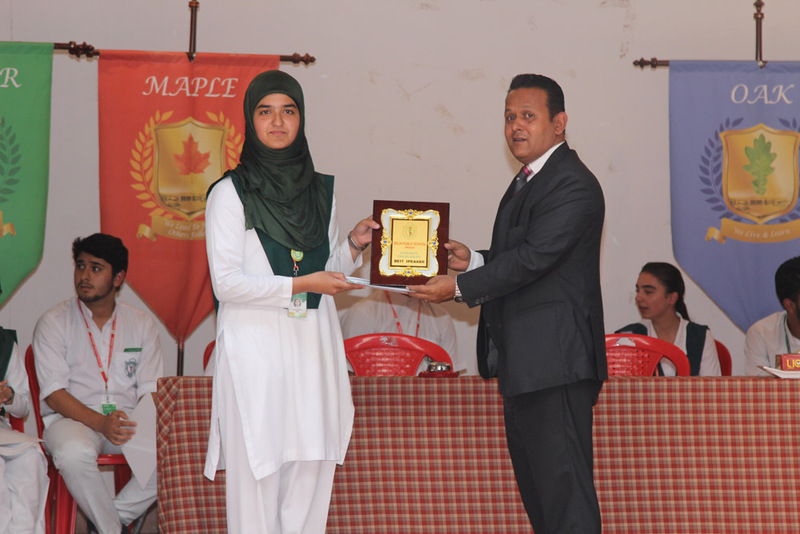 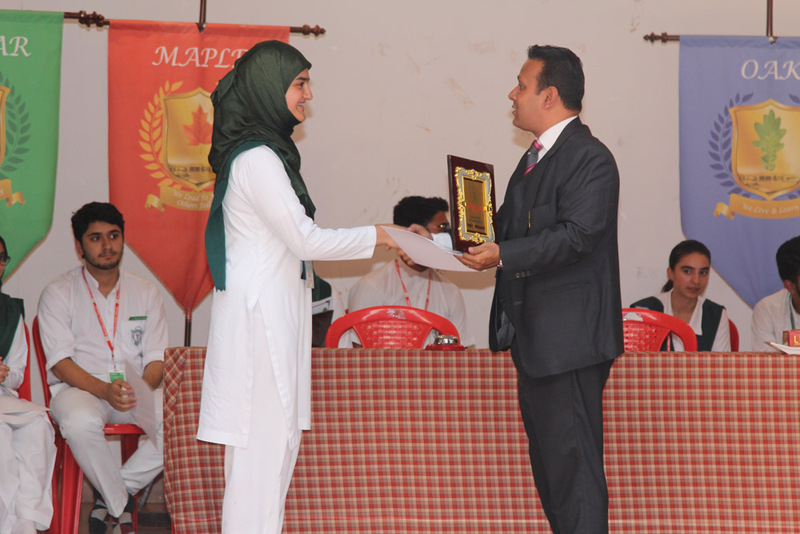 Principal Mr. Alastair R Freese and Vice-Principal Ms. Shafaq Afshan were also present during the occasion. 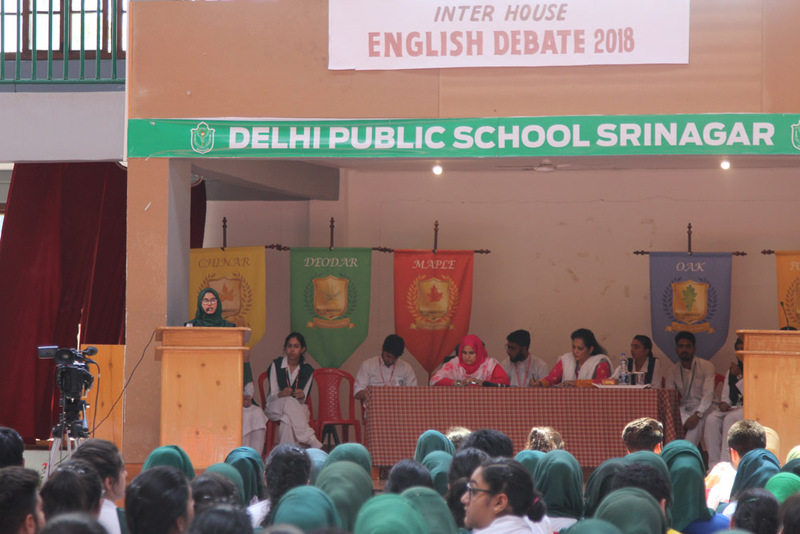 Each house was represented by two participants – one who spoke in favour of the motion, while the other opposed it. 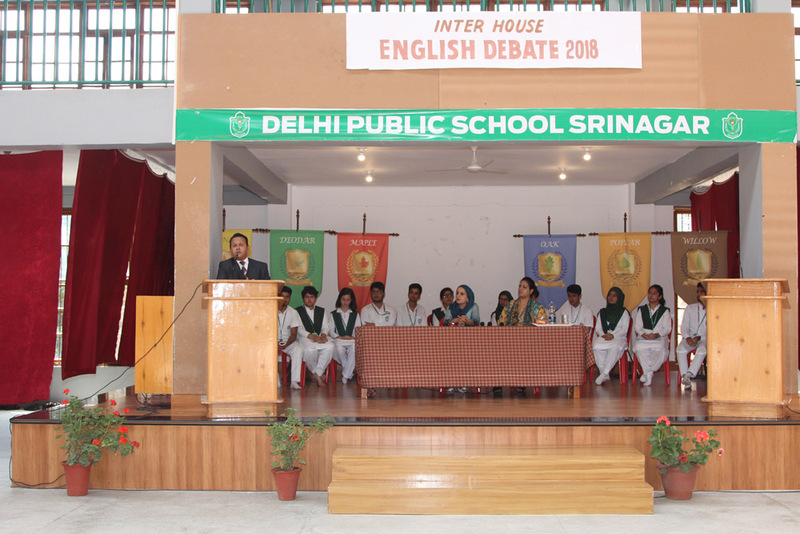 The students spoke eloquently on these pressing issues, and impressed the judges with their thoughtful insights. 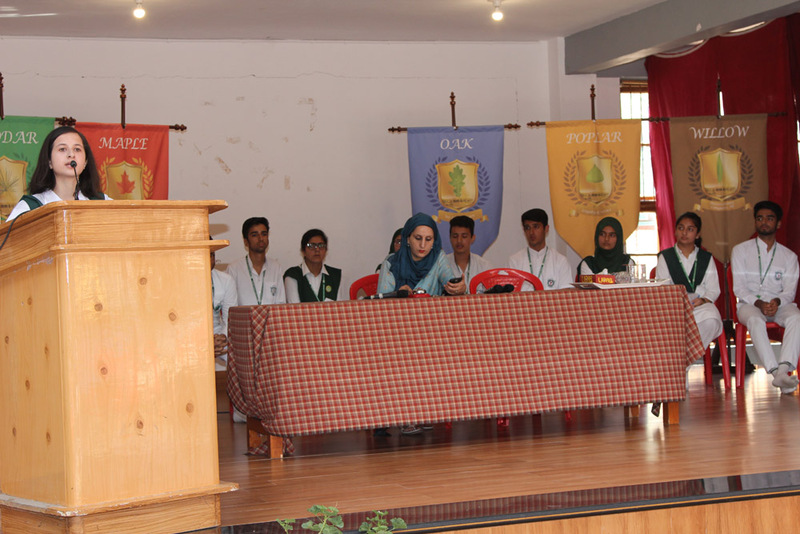 The highlight of the event was the rebuttal round, where each participant questioned a view presented by the opposing team. 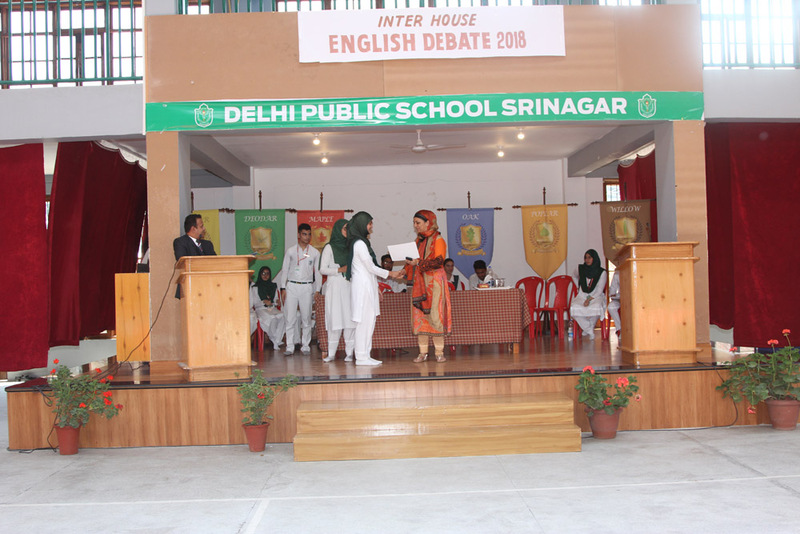 Each team defended their argument vigorously which displayed the speed and depth of their thoughts. 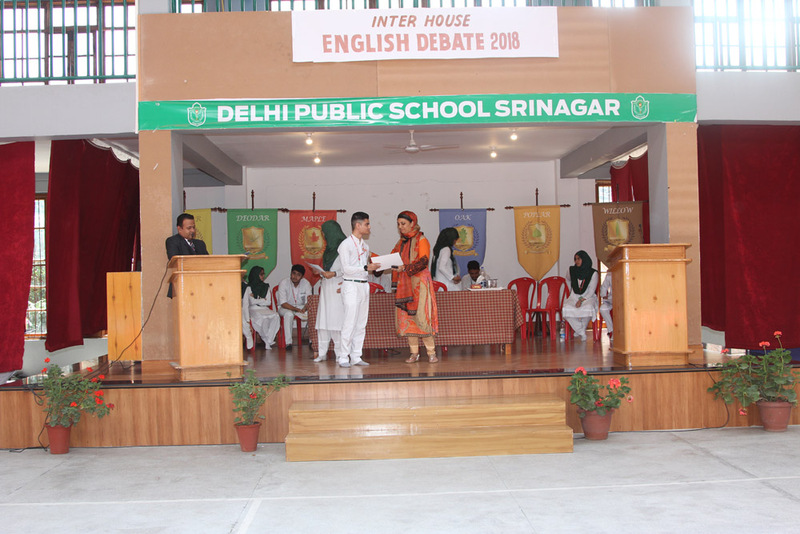 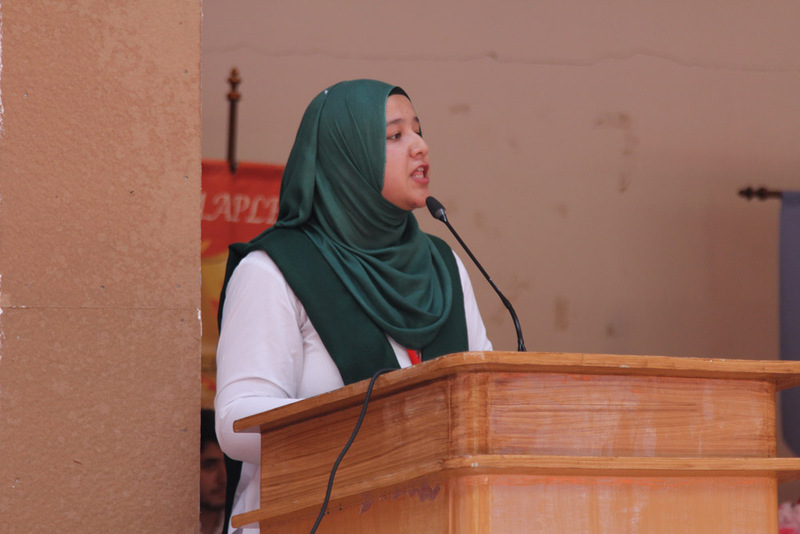 Such was the intensity of the competition that the judges were compelled to applaud the students for assigning them such a difficult choice, as to choose the winners. 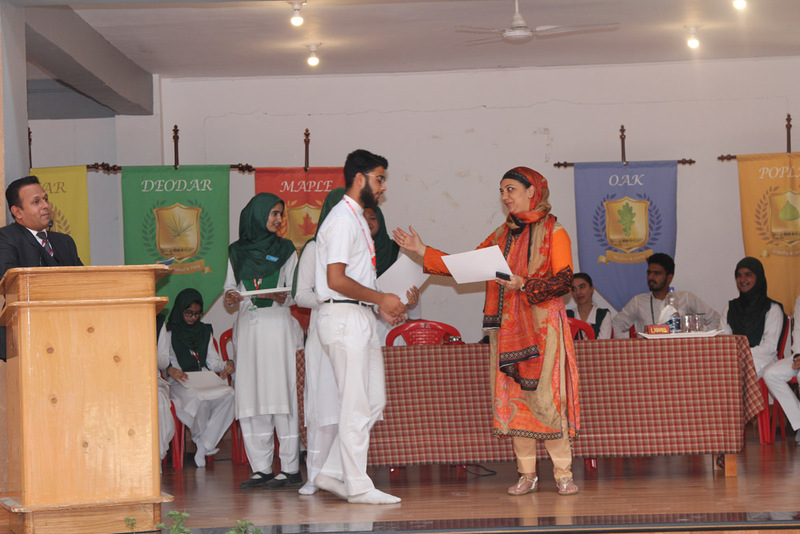 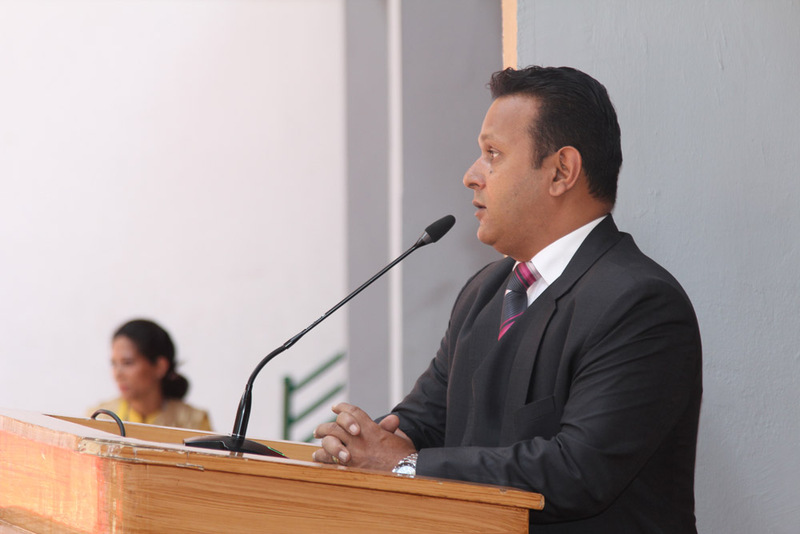 The Principal too congratulated all the students and the fraternity for a stellar performance. 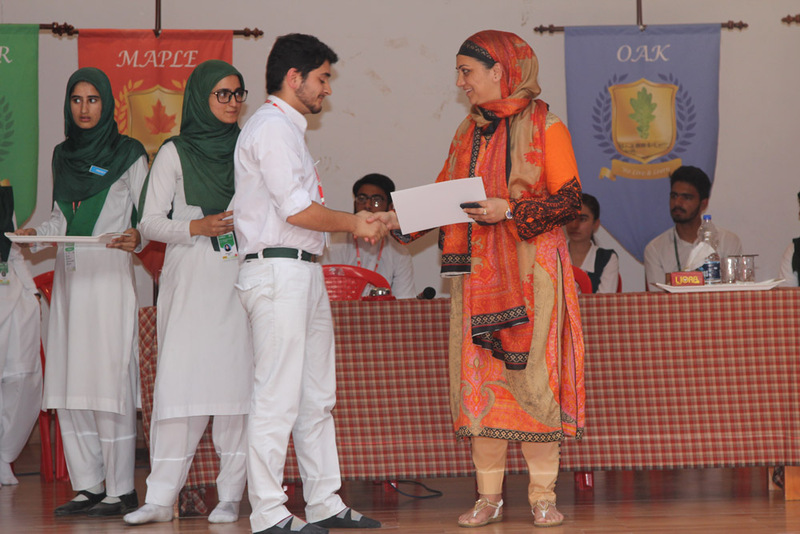 As for the winners, Farakzad Khan bagged the Best Speaker award for Under 16 Division, while as Adain Shabir won the Best Speaker for Under 19 Division. 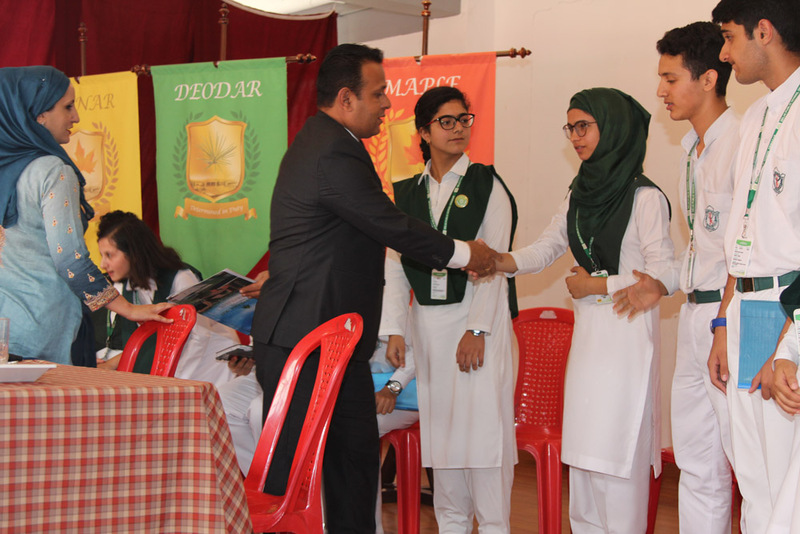 In the Under 16 division Deodar House was declared the winner, while in the Under-19 division Willow house was adjudged the winner.